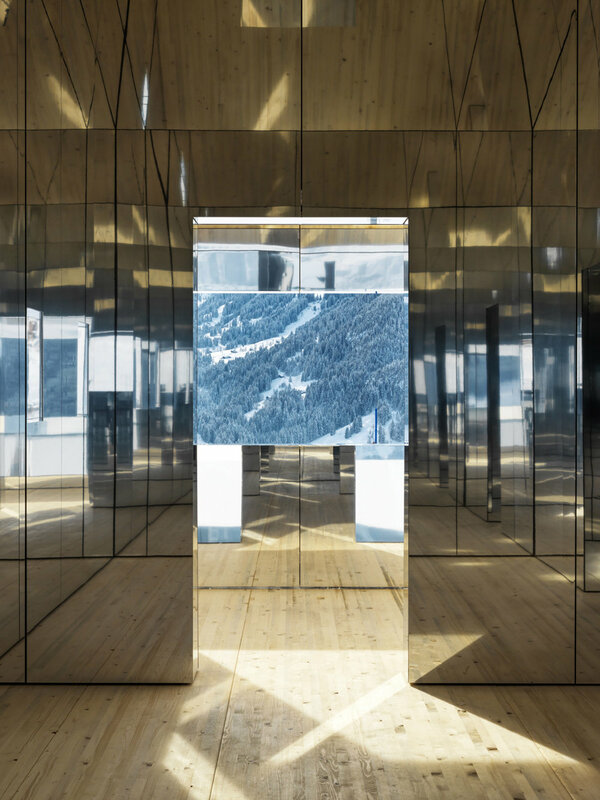 American artist Doug Aitken has moved his famed mirror-clad house installation to the snow-capped mountains of Gstaad, Switzerland. 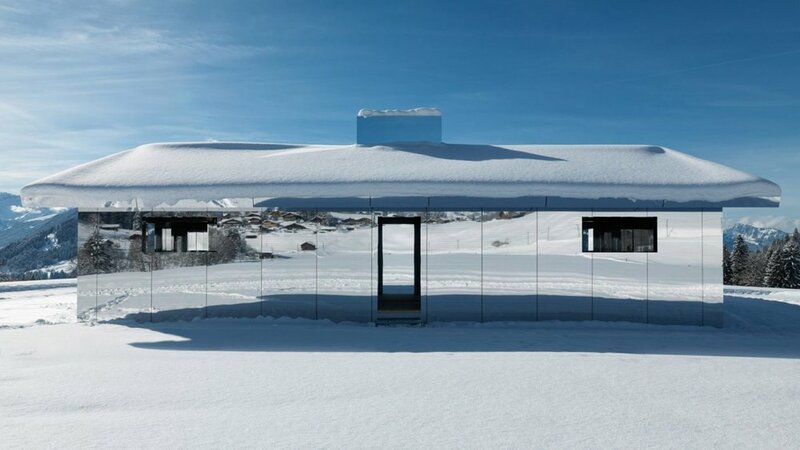 Previously reflecting upon the desert-scape of Palm Springs in 2017, and within a former state bank in Detroit last year, the single-story structure will remain in the Swiss Alps until 2021. Aitken’s concept remains the same, stripping the ranch-style home of all color and definition, and allowing visitors to freely explore the exterior and interior of the structure. 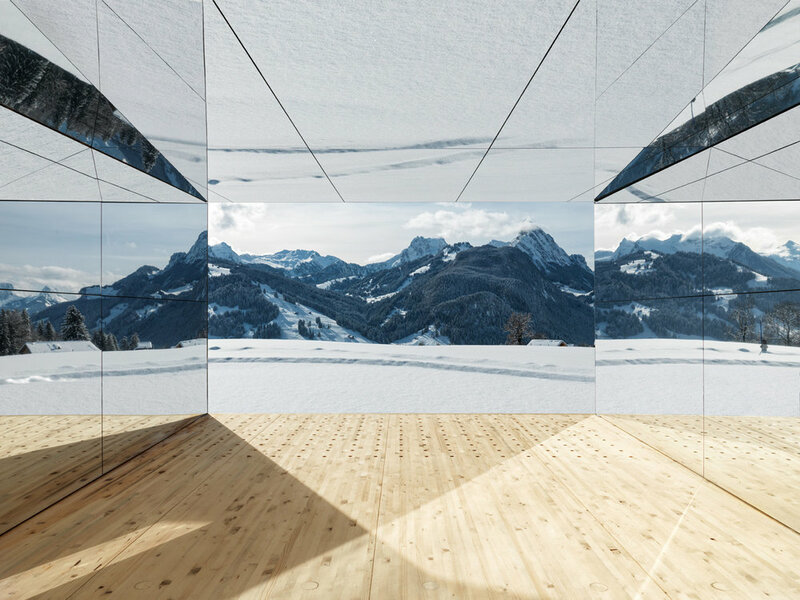 The piece, part of art festival Elevation 1049, reflects the constantly changing world around it, from seasons, guests, weather and time of day. 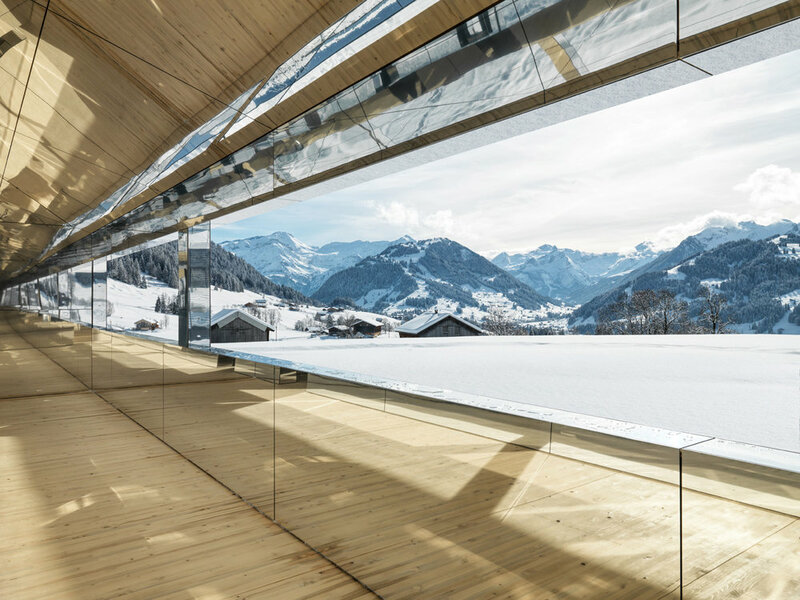 The main differences from Aitken’s "Mirage Gstaad" from the previous mirrored works, is a low-lying Alpine style roof, designed to withstand the weight of heavy snow. A 24-hour webcam has been set up for those that cannot see the massive form in person. See the exact quadrants of the glass house and the live webcam here.